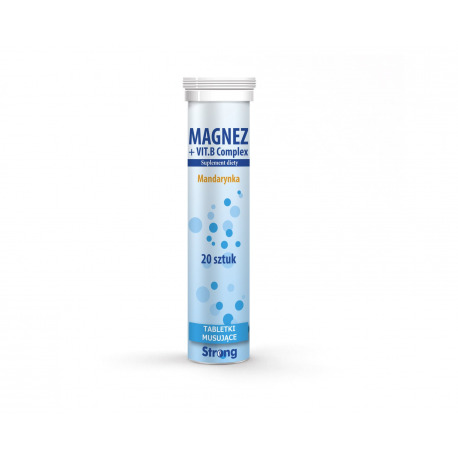 Return to Home > Pro-Gezondheid>STARPHARMA - Magnez + Vit.B Complex 20 tab. Protects the organism from the effects of stress, helps to relieve the body from the feelings of tiredness and weakness and boosts concentration. B vitamins reinforce immunological and hormonal systems. Tangerine flavoured sparkling tablets. 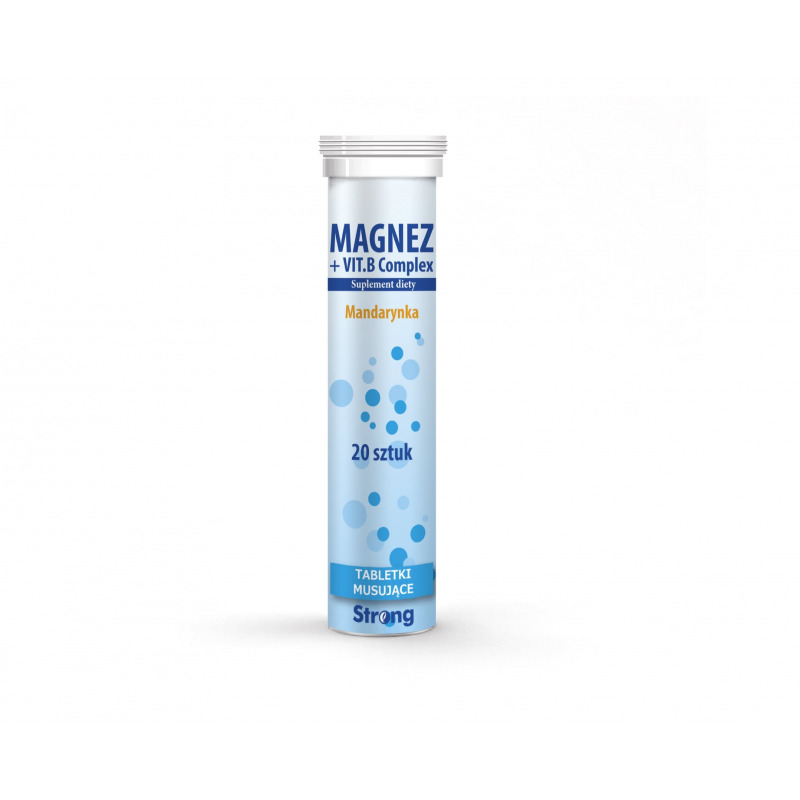 A dietary supplement intended for adults to reinforce their diet in magnesium and B vitamins. Active elements of Magnesium + Vit. B Complex dietary supplement relieve the body from the feelings of tiredness and weakness and help to maintain correct functioning of nervous system. Magnesium fights the effects of severe stress, anoxemia, allergy and inflammation. Take 1 tablet daily, dissolved in 200 ml of water. Do not exceed the recommended daily dose, i.e. 1 tablet daily. Dietary supplements should not be used as a substitute for a balanced and varied diet. The product contains a source of phenylalanine (aspartame). Product contains sugars, sweeteners and an allergen – crops containing gluten.